An amazing restaurant ! 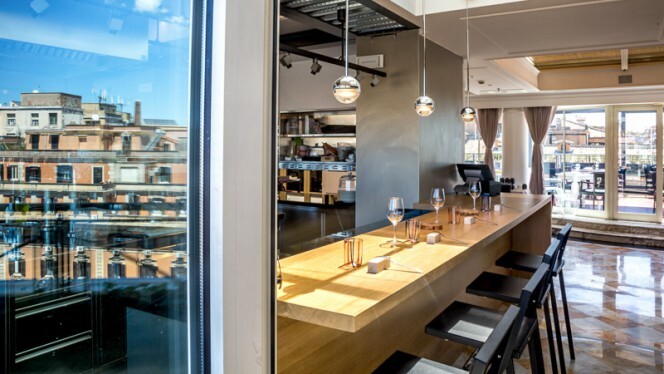 The cooking Is delicious, the service is perfect and the point of view on the City is very beautiful. It's perfect for a romantic diner! The 9-course tasting menu was a delight, especially the frog and the venison courses. I knew about Italian relatively slow (to an American taste) restaurant service, but here 9 course meal took 2.5 hours. We just expected that this could adjusted on the fly by the restaurant staff seeing two customer doing nothing for so long. perfect last night in Rome! 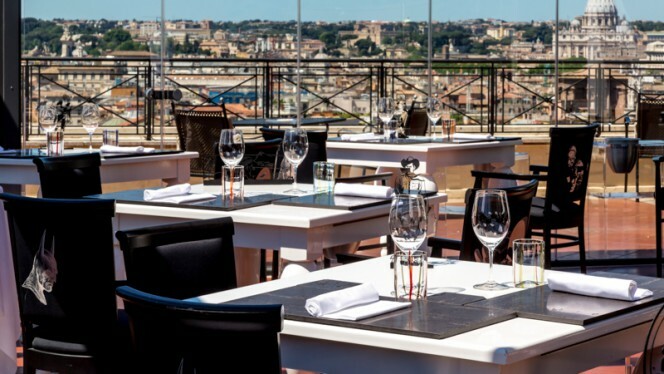 The Flair - Rooftop Restaurant is located on Sina Bernini Bristol’s panoramic terrace. 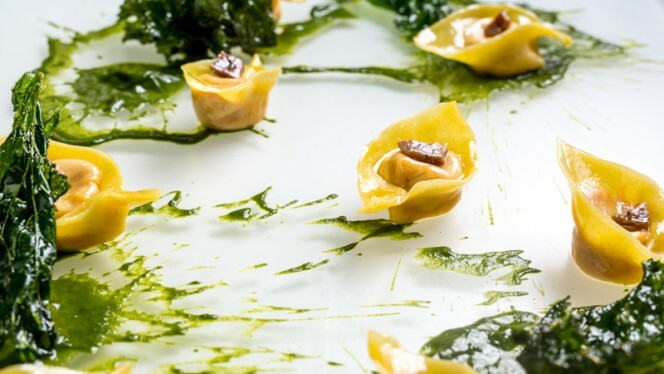 Here we define the rhythm of lightness that surrounds the entire restaurant and the infinity of the Roman sky, opening up to the view from every corner.A chance for guests to experience a pleasant and delicious moment, forgetting the frenzy of the long day and immerging themselves in the pleasures of a high-quality cuisine. Restaurants around "The Flair - Rooftop Restaurant"